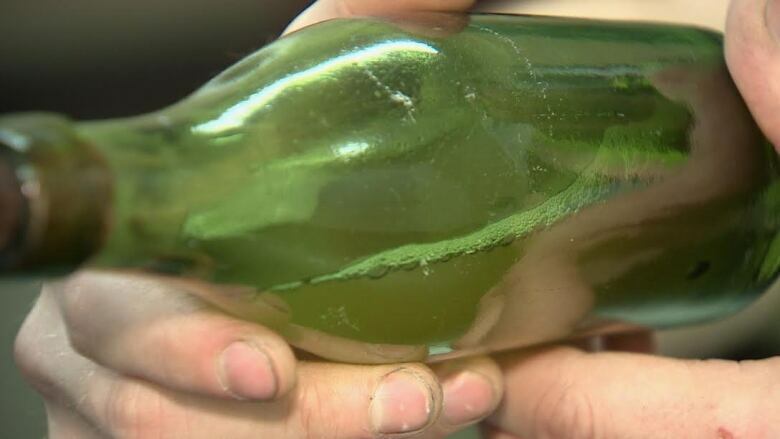 A Halifax man has found a beer bottle nearly as old as Canada, with century-old suds still inside. Jon Crouse was scuba diving in the ocean waters of Nova Scotia's Northwest Arm during a rainstorm this week. The consummate collector of undersea objects shoved his arms into the silt on the floor of the Atlantic Ocean. 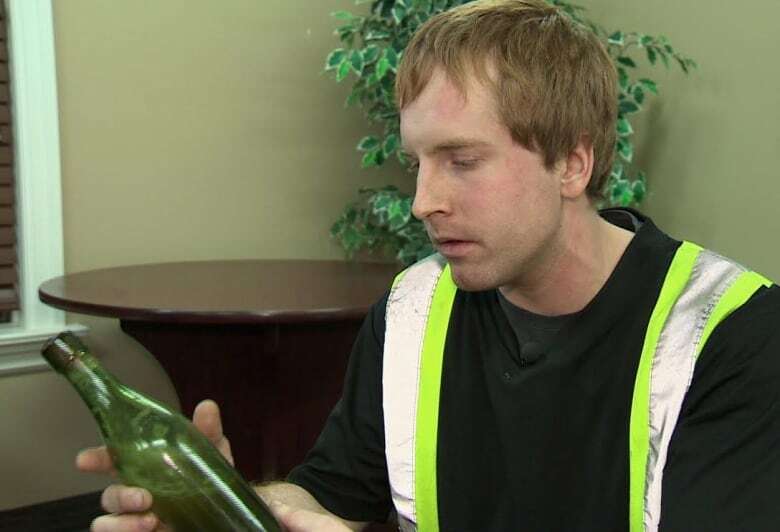 His hand hit the bottle, but at first, he didn't think he had found anything special. "I've been looking for bottles since I started diving," Crouse said. "I've found quite a few vintage bottles." The bottle he found Monday certainly fit that description. Crouse has used markings on its bottom to trace its origins to a company that imported bottles to Canada from England between 1872 and 1890. 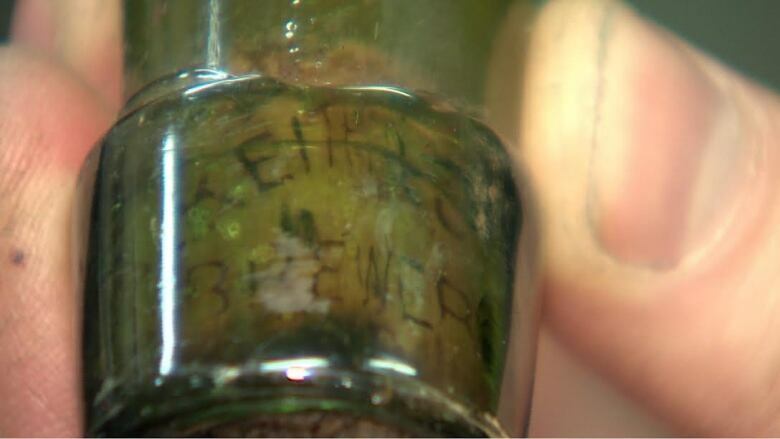 Ink on the preserved cork is visible through the glass mouth of the bottle, which reads: "A. Keith's Brewers." The Alexander Keith's Brewery opened in Halifax in 1820 and is one of the oldest commercial breweries in North America. The most amazing aspect of the possibly more than 120-year-old bottle is what's inside — a bubbly liquid that could be beer. "I never expected to find half a bottle of Keith's, if that is what it is," he said. "I hope it is." Will he drink it? No. It's going in the toilet. Sort of. "I'll leave the bottle sitting in the top of the toilet tank," Crouse explained. "The frequent circulation of fresh water will eventually draw out all the salt from the cork." "After about four months, I'll take the bottle, stand it upright, take some linseed oil and place a couple drops on top. As the water dries out it will be replaced by the linseed oil and that will hopefully preserve the cork," Crouse said. "After having the cork preserved, hopefully over the span of a couple years the beer inside will evaporate naturally," Crouse said. "Within a few years, this will hopefully be fully preserved without the liquid inside." Experts agree that it may have been a tasty beer once, but would not be now. "I don't think I'd be drinking it," said Steve Durand, current brewmaster at Alexander Keith's Brewery. "That's one I'd probably just put on the shelf and admire it from afar." One Halifax bar owner has expressed interest in paying to send the bottle to a lab for analysis. "Certainly we have brewing records, recipes and archives we can look to to learn how brewers of the past made beer but the proof is in the pudding. It's more interesting I think to just analyze the actual thing," Chris Reynolds, who co-owns Stillwell Bar in Halifax, told CBC. As for Crouse, he's still not done searching. "The rarity of finding an old bottle makes it all that more special when you do find one," he said. "So I'll just keep searching. You never know what you're going to find."